SW Fashion: Flat-Spo: Cutie Coo! Another week, another fantasy interiors post to get me feeling REALLY rubbish about the fact that i'm skint. Oh well, onwards and upward! 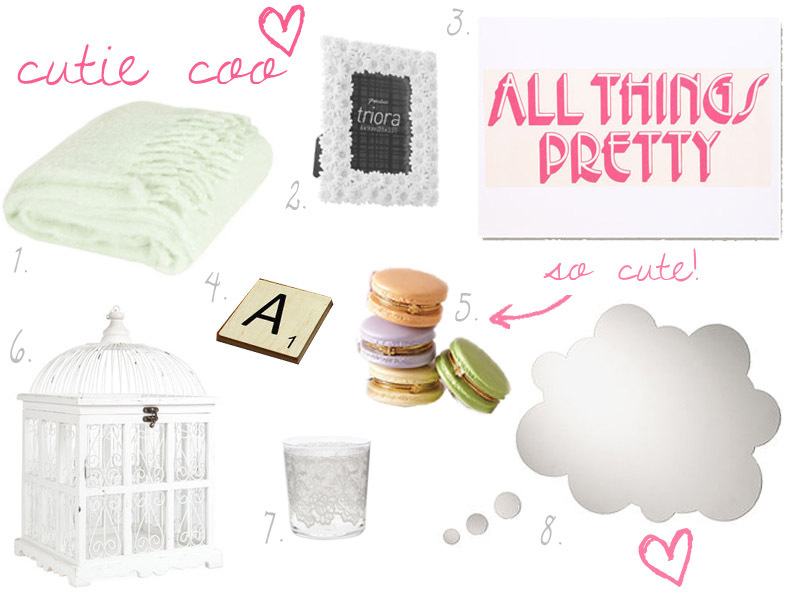 I thought i'd go all sweetness and light on you and present you with some pretty, pastelly, cutesy- wootsey-woo home goodies. I absolutely adore all these light hearted treats that should get me through all those stressful uni days! I also have my little heart set on popping a few of these charming scrabble tiles up on my wall spelling out something uplifting- any suggestions? And nobody suggest YOLO, okay?